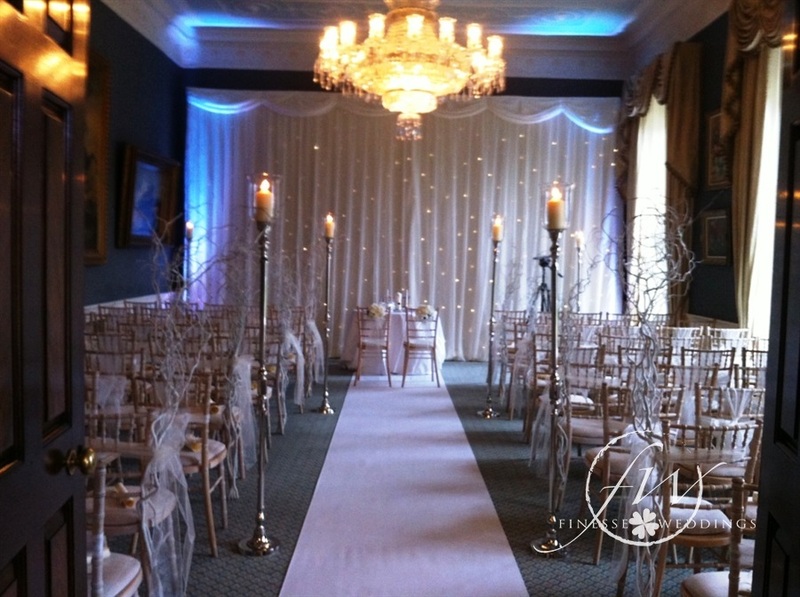 Fairy light backdrops and draping can magically transform your wedding venue. 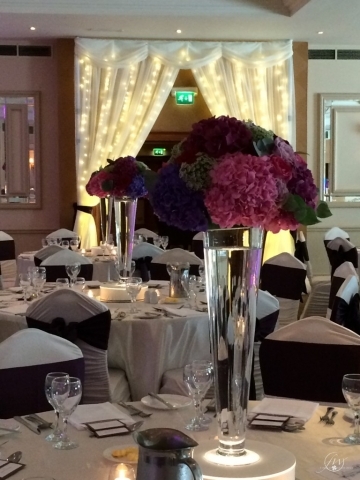 They are the perfect backdrop for your wedding photos behind your top table. 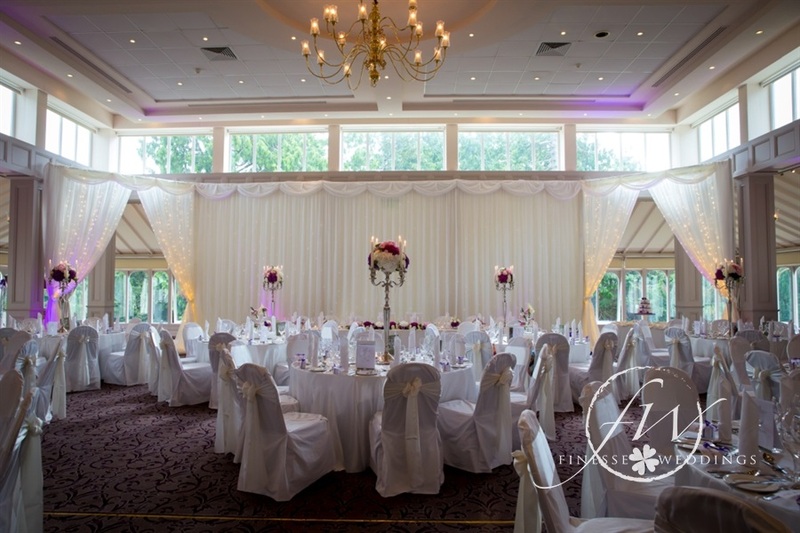 They can be used to cover partition walls, to divide a room, create a fairy light corridor and to place behind the stage while your band plays to add that extra touch! Plain draping is also very popular in some venues to dress the room. 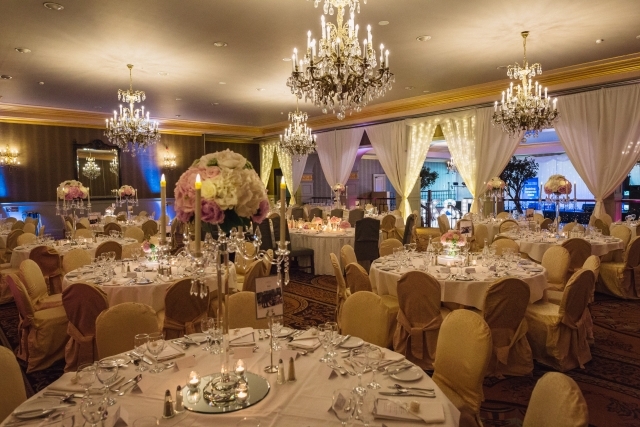 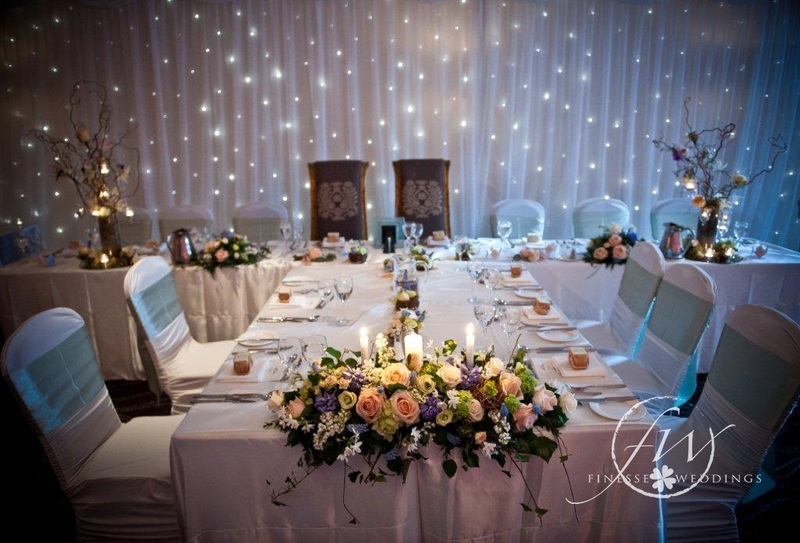 Fairy light archways and entrances are sought after by a lot of our couples who want to make a grand entrances into the venue or onto the dancefloor, in such venues as Killashee House Hotel or Lyrath Estate. We use uplighters to tone a room….. these look amazing shining on a fairy light backdrop. 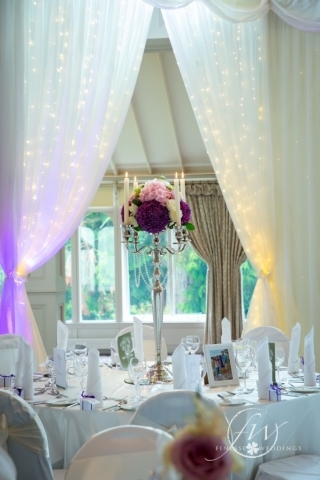 We can set these to the colour that matches your overall wedding theme. 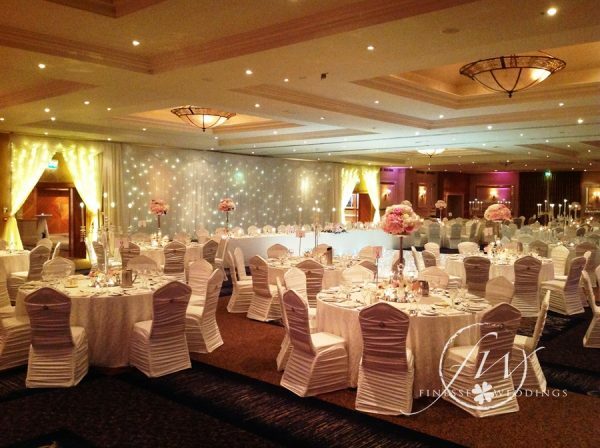 We exhibit some of our backdrops at wedding fairs we attend throughout the year, but if you would like more information contact us at info@finesseweddings.ie or 0868510726.